AP extends relationship with Chinese video agency CCTV+. London, March 2018: As global interest in China continues to grow, The Associated Press has extended its existing relationship with CCTV+, the video news agency of China Central Television, to bring its comprehensive video news coverage to the online AP Video Hub platform. AP Video Hub customers will now be able to access and use CCTV+ video news from China on a daily basis. CCTV+ is well known globally for the quality and depth of its video news coverage in China. In addition to covering top news stories, the network is recognized for its breadth of coverage, including offering the Chinese perspective on local and global news. 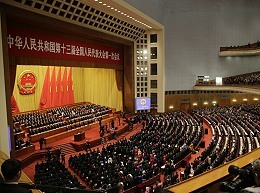 Recent high-profile stories include the 19th National People’s Congress in Beijing, U.S. President Donald Trump’s visit to China, and the Sanchi oil tanker collision in the East China Sea. CCTV+ content has for years been offered via the AP Media Port service and to AP Archive clients. In addition to video news from CCTV+, customers of Video Hub have access to international news providers such as Japan’s Spectee and South Korea’s YTN.